Blue Rider Press, 2016. 257 pages. Carrie Fisher’s last addition to her already prolific writing career is another example of her wit and charm. In this book, Fisher revisits the three-months that changed her life forever—the filming of Star Wars: A New Hope. Much of this book is made up of excerpts of old journals that Fisher kept during filming. Little known to public knowledge, Fisher and married co-star Harrison Ford had an off-screen secret affair during the short time the movie was being filmed. At once both hilarious and sad, Fisher reveals what it was like for a young teenager (only 19-years-old when she became Princess Leia!) to be dealing with the sudden rise to fame as well as an affair with a much older actor. All told, this book will not appeal to readers that are strictly Star Wars fans and want more details on the making of the films. 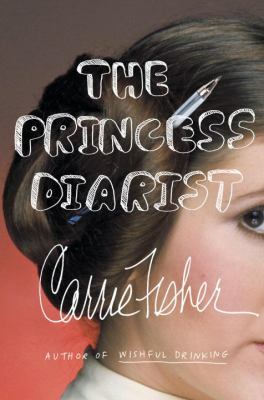 Nevertheless, this book is great for anyone that has read Carrie Fisher’s previous books and enjoys her singular humor.